Creating a course is really easy. Just follow these few quick steps and you'll be up and running in no time. First, sign in to edX Studio. This is where you'll author all your course content. 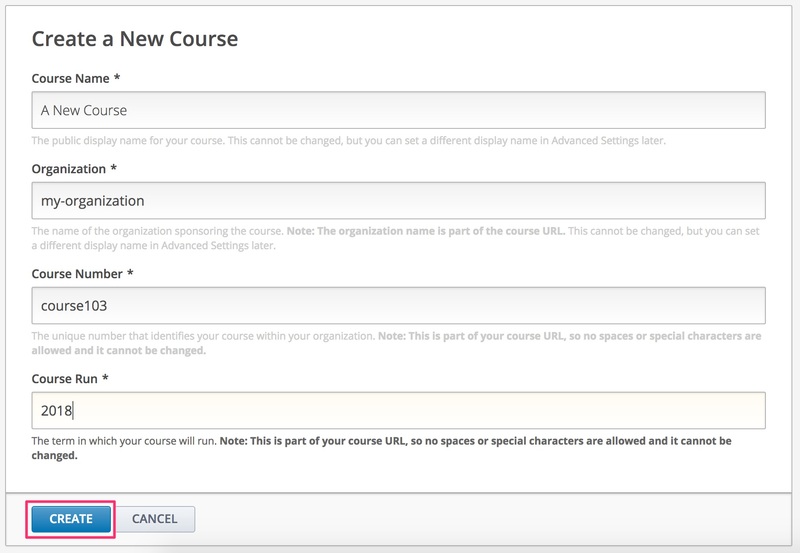 Next, click New Course in the upper right corner. Then just fill out the information fields on the next page. 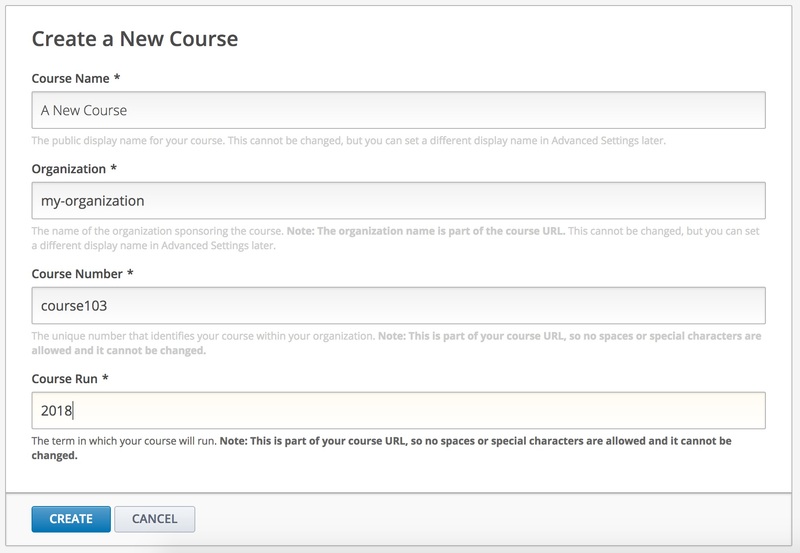 The bottom three fields are going to be part of your course URL, so make sure you don't use any space or special characters. These also can't be changed later, so make sure you decide what you want them to be before hand. Finally, click the Create button at the bottom. Congrats! You now have an Open edX course to call your own. Now that you have a new course, be sure to check out our article on 3 important things to know about new Open edX courses to know what you should do next.